Social Security is now the single greatest source of income for American citizens over the age of 65. According to the Social Security Administration, the program is paid into by all working Americans and while many see it as strictly a program for retired people, there are several Social Security benefits that go out to many other people including the disabled, widows and widowers, children, stepchildren, and divorced spouses, amongst others. It can be complicated to know exactly when one qualifies for benefits and how to go about securing them, but according to Jim McGuire of CNBC, understanding them is essential to financial planning, for both the present and future. The greatest number of benefits are, naturally, taken out by the around 38 million retired folks across the country. In order to qualify for to receive these benefits, the person usually must have worked for 10 years at a job where they were paying Social Security taxes from their ways. Anywhere from the age of 62 to 70, a retiree may begin applying and taking advantage of these benefits, though the age to receive full benefits varies depending on what year the person was born. On average, retirees will receive $1,294 a month and the sum is based on the average earnings of the 35 highest earning years. According to Stan Hinden of AARP, spouses and children are also eligible to use the social security retirement benefits if they meet the qualifications. Under Social Security guidelines there are three types of children: children under the age of 18, high school students under 19, and disabled children who became disabled prior to age 22. For spouses, the marriage must have been at least a year in length and the spouse must be at least 62 unless they are pregnant with the retiree’s child or if the child is under 16 or has a disabled child in their care. A divorced spouse may also claim benefits if the marriage lasted for over 10 years. Auxiliary beneficiaries can receive up to 50 percent of what the retiree receives in benefits. The Social Security Administration can provide various benefits to those with qualifying disabilities through two different programs, the Social Security and Supplemental Security Income. They are the two largest of a number of different governmental programs that assist disabled people. To qualify the Social Security office looks at a number of different factors and candidates must pass a “work test”, with requirements changing as the person ages. Because there are many intricacies in applying and various documents that need to be submitted, the law firm of Gilbert & Bourke L.L.P. encourage qualifying individuals to consider using an attorney when trying to claim disability benefits. Much like the retiree program, the spouse or children of a disabled worker can also qualify for benefits under the disability category. Spouses and children are defined in the same manner as when applying for retired benefits. The final category of benefits is for survivors and Social Security functions similarly to a life insurance policy, with the agency claiming to provide equal or even better for survivors than private insurance policies. 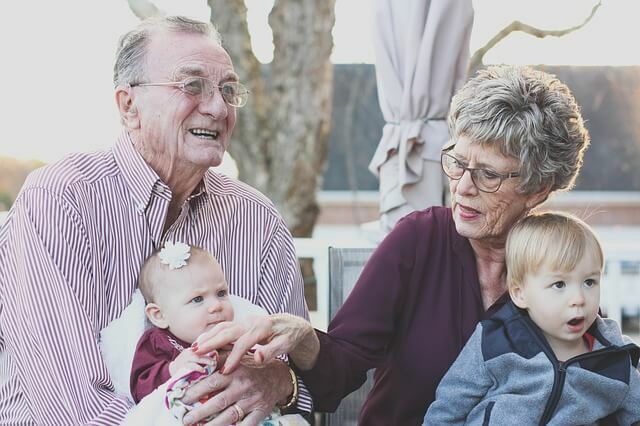 Widows or widowers may start applying for the survivor’s benefits from the age of 60, though there are exceptions for young widows (or widowers) with children and disabled persons. Parents of diseased workers may also claim benefits if they were dependent on the worker and over 62.